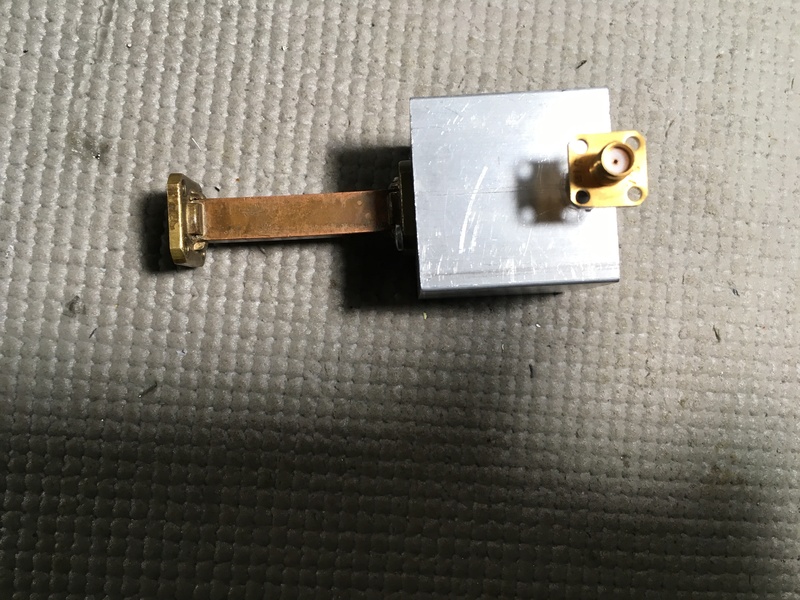 The early January 2019 discussion on the WA1MBA Microwave Reflector of diode package capacitance and the impact on mmWave mixer performance prompted me to compare diodes for 76 and 121 GHz mixers. 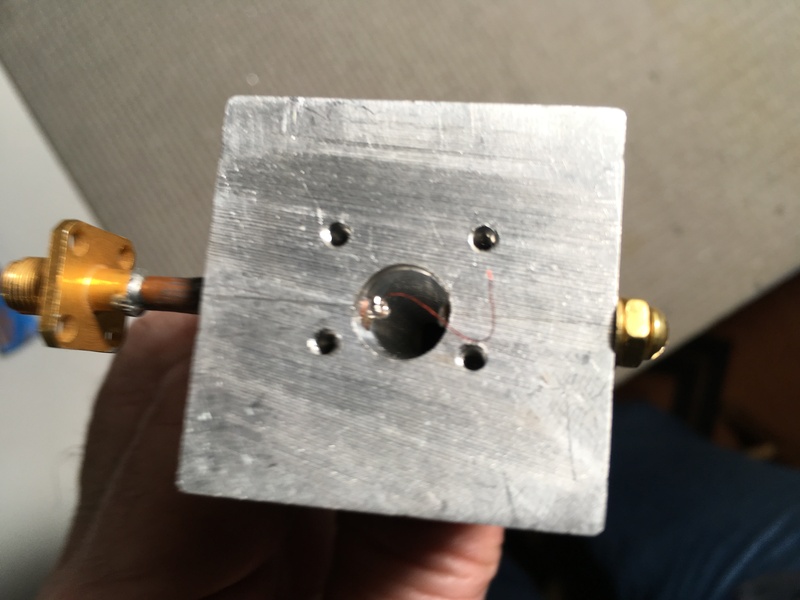 I built two identical home made transmit mixers and compared the conversion efficiency of the BAT-15 diode, with a package capacitance of 0.23 pf, with the HSCH-9201 diode, with a package capacitance of 0.040 pf. The measurements are ‘ham measurements’ taken with a Tek 494 SA and a homemade harmonic mixer. The LO drive is derived from a homemade synthesizer and a CMA tripler. The IF frequency is 432.2 MHz. LO and IF drive were optimized for each measurement. All measurements are relative rather than absolute. Below is a table of my results. The HSCH-9201 mmWave diode clearly outperforms the classic BAT-15 diode in this test, increasingly so at the highest frequency. Of interest to me is that for 121 GHz operation, the LO multiplication, x9 vs. x12, resulted in identical output amplitude. This could be explained by the tradeoff between LO multiplication number and the doubling efficiency of SHM mixers. The output amplitude with the HSCH diode in the home made mixer assembly encourages me to ask how these measurements compare to more professionally constructed SHM’s at these frequencies. Maybe this mixer configuration will be useful as a bare mixer transverter.